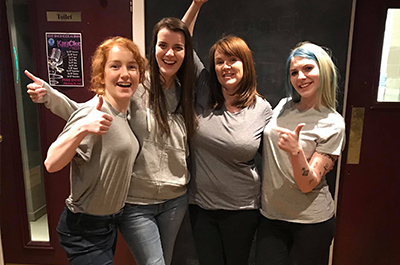 The stories of four females who had previously served sentences at HMPYOI Polmont have been brought to life through a powerful new short film. 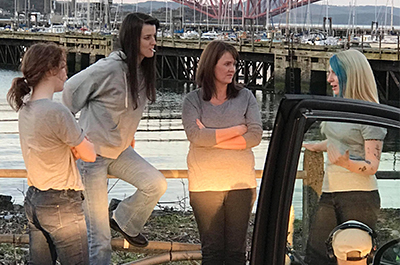 Directed by Paul Gray, programme leader for BA (Hons) Film at Edinburgh Napier University, On The Outside is the result of an innovative partnership between Paul, Fife College and Scottish Prison Service (SPS). Over the course of three months, Paul worked with women within the facility – both in groups and individually – to encourage them to find their voice and share their story. Using various means of creativity – including speech, song and spoken word – participants were able to reflect on their life so far, the decisions they made alongside looking forward to what the future may hold. On The Outside – which sees four actors share the stories of four of the women Paul worked with – is set completely in a car and follows a journey over the course of a day. Filmed over five days in Edinburgh and South Queensferry earlier this year, the script is taken from Paul’s dialogue with the women within Polmont and touches on who the women are and how they ended up in prison. The film was produced by Nasreen Saraei, a recent graduate from Edinburgh Napier’s BA (Hons) Film course. The film also features a song and a piece of spoken word created through his sessions within the facility. 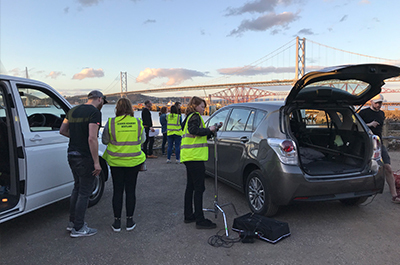 The song was recorded and performed for the film by music student Matthew Cowan and acting graduate Sarah Dingwall, from Edinburgh Napier. For Paul, giving the women a voice alongside having a chance to reflect on their time in Polmont was one of the main drivers for the film. He said: “Edinburgh Napier has a successful working relationship with SPS and Fife College at Polmont and this film project led on from the success of previous projects with students from BA (Hons) Photography and BA (Hons) Television, and also builds on a long standing education partnership between SPS and Edinburgh Napier’s English programmes. “I have always been interested in films that explore true stories and true accounts and working with the women from Polmont allowed me to do this. “The idea was to allow the women to find their voice and communicate through the use of storytelling. During the sessions with them, I showed them clips of films and gave them introductions to certain aspects of filmmaking. The discussions that followed helped peak the participants’ creativity and they were able to share their stories with me through a range of means including spoken word and song. “The script itself is very much written from dialogue recorded during the sessions, with the actors taking on the individual patterns of dialogue and the underlying meaning. The initial premise for the whole project was to empower the women to be authors of their own representation and I hope that the film does this. The film – which was shown in private to the women for the first time last week – sees Edinburgh Napier Acting for Stage and Screen graduate Sarah Dingwall take on the role of Abigail. Sarah said: “I really enjoyed playing the part of Abigail. I found the role challenging because I wanted to do justice to the real Abigail’s story by researching and understanding as much as I could about her personality and background. “Every part has its own difficulties within it, this one especially. Abigail’s story is dark and troubling and to try to understand what she has been through was very difficult.